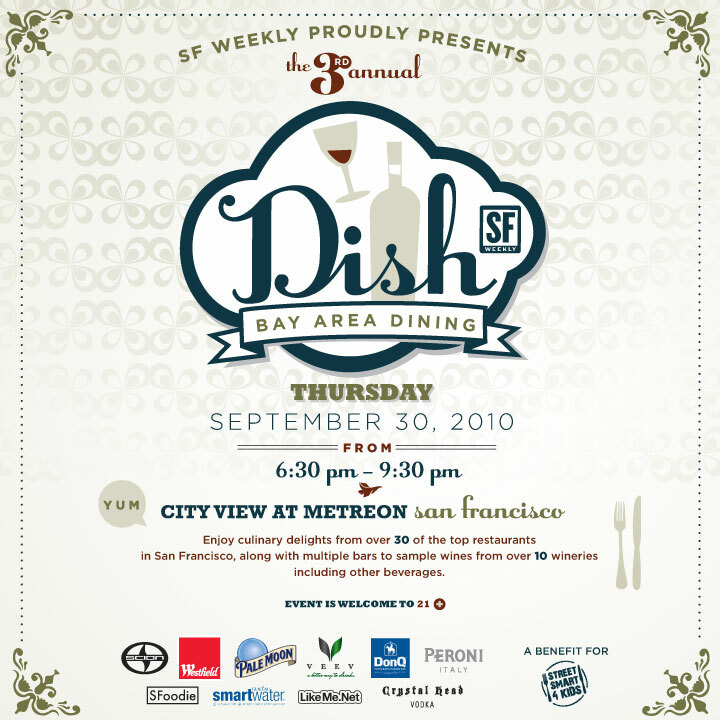 This is SF Weekly’s premier foodie event, appropriately entitled DISH. It has grown in popularity since its first year in 2008 from about 400 guests to 1500 in 2009! This year plans to be even bigger. So far, we have changed the entire branding of the event by creating a new logo, along with a new design template that will be used throughout the promotions/marketing campaign. We also created a nice 11 x 17 poster that was given to the participating restaurants to hang up in their windows. It mimics the postcard. 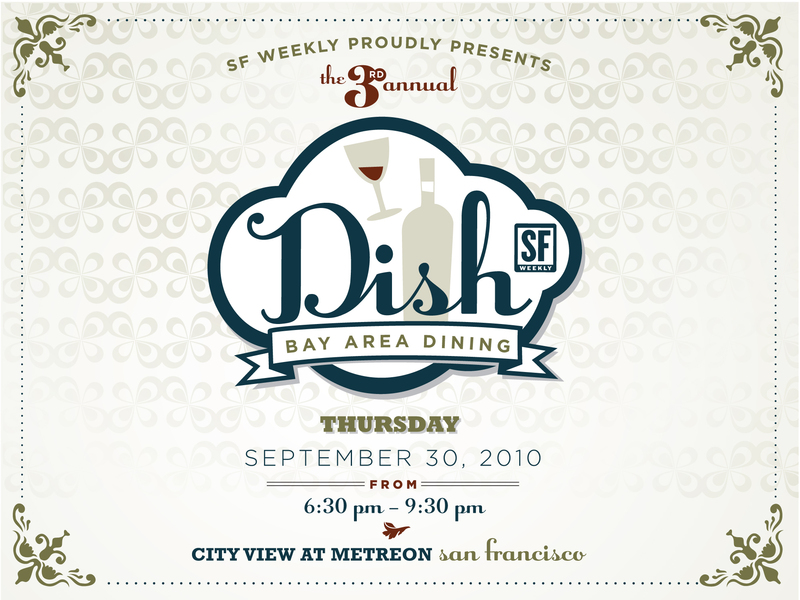 Online we ran a slew of web ads along with creating a microsite for the event: www.sfwdish.com. The event was also posted on multiple social media and event websites. For tracking purposes, various coupon codes were created through our Eventbrite ticketing site in order to see where most ticket buyers were hearing/learning about DISH. Some of the results were rather surprising. What also helped out a lot for our pre-event promotions was our own in-house foodie blogger. He has quite a following and many people took his recommendation to attend DISH. During the event, his editorial videographer did a special video of the event which was then posted to his blog SFOODIE. Of course, we also have a video that featured our clients and restaurants in order to have them sponsor again next year and to garner new sponsorships. The event itself was absolutely packed! We definitely did not expect such an influx of people to arrive at the very beginning of the event, so all hands were on-deck when it came to checking guests in.